Express your love without saying a word. 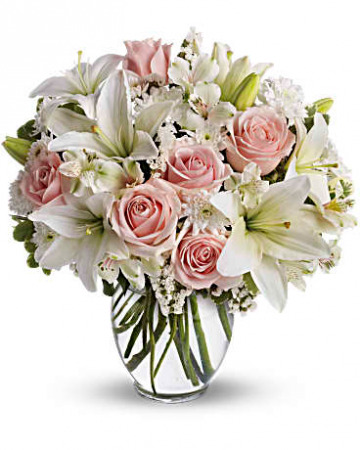 She'll adore this exquisite bouquet of roses and lilies and other pastel favorites in a classic ginger vase. And she'll know just the words to let you know. Available in white, purple, and yellow. A delicate and sophisticated bouquet of sweet feminine flowers. 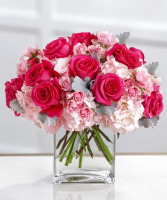 Bright fuchsia roses are brilliantly eye-catching seated amongst pale pink spray roses and clouds of pink blush hydrangea accented with floral greens. 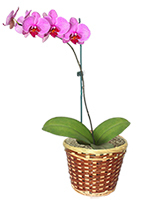 Elegantly situated in a clear glass vase with a modern shape, this bouquet is a charming presentation of feminine beauty.